My son is currently obsessed with decorating our home for ‘special days’. Last week we were all decorated for Valentines Day and he wanted to know what was next. Easter seemed a little far off but Spring? Well, hopefully that’s just around the corner. I loved the family fingerprint tree that Life As We Know it shared a while back on Tuesday Tutorials and thought it would be fun to give it a spring twist and liven it up with a bit of blossom! Now before I start, I should add that the original plan was that as my husband had a day off we were all going to make this together in the daytime. Only, err, the weather was nice so went went out to The Gruffalo trail and got caked in mud instead. Oops! So this was made in the evening instead, hence no ‘making it’ pictures as my poor camera couldn’t cope! 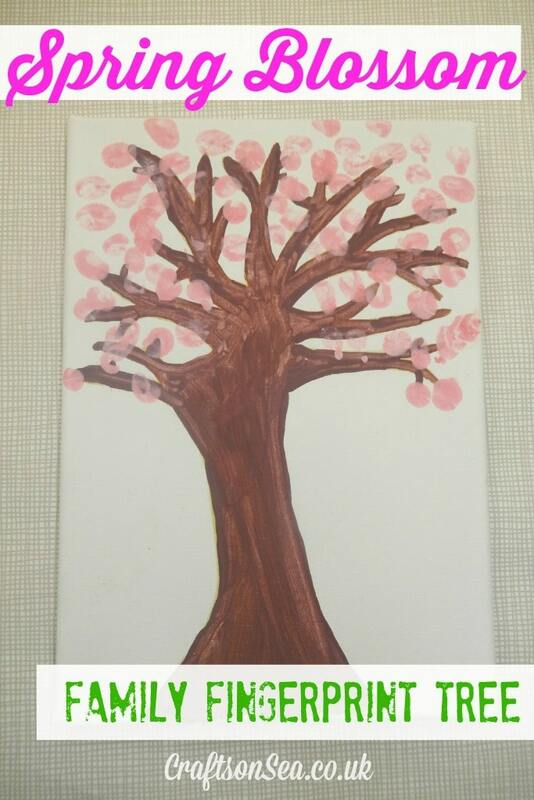 Firstly I drew the outline of a tree and painted it in brown, once this was dry I invited my son to help me make the pink paint from some red and white as we didn’t have any. He quite enjoys learning how colours are made so it was fun for him mixing the coloured paints together. Before you start your finger-painting make sure that everyone’s fingers are clean. Obviously they are going to get mucky with paint, but the paint is all you want on the canvas, when we painted this my brood had just put away birianis and cornettos, we’re still finger feeding so I didn’t want a curried picture, use those babywipes! 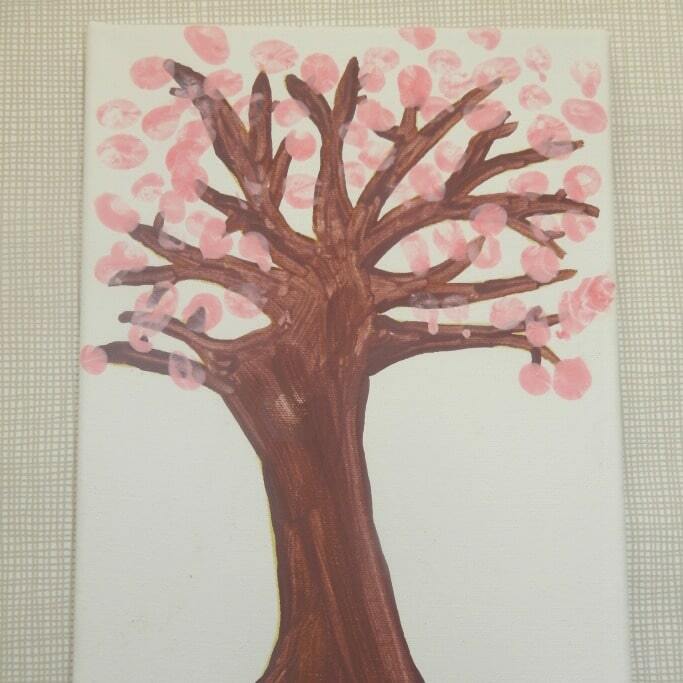 I showed my son some pictures of trees covered in blossom on google to remind him what they looked like and then we all took turns to dip our fingers in the paint and make our blossom covered tree. I thought that at one, the baby’s fingerprints would be very small and cute but of course she didn’t quite grasp all the instructions so hers are more the large smeared ones! All in all we’re really pleased with it and it’s currently hanging on our wall, a cute craft to help welcome Spring in! If you’re looking for Spring crafts inspiration why not follow my rather lovely board on Pinterst?! Lovely, I don’t know what it is about pink and brown but I love the combo. What a neat way to remember when your children were small and their fingerprints were so small and dainty. This is gorgeous, and what a wonderful memento of this stage of a little one’s life.